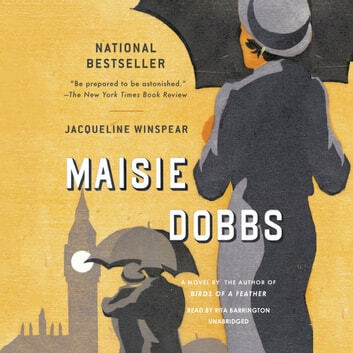 The book that introduced the world to the intuitive, intelligent, and resourceful heroine Maisie Dobbs-one of literature's favorite sleuths! 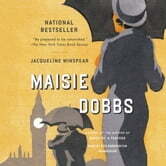 Maisie Dobbs entered domestic service in 1910 at thirteen, working for Lady Rowan Compton. When her remarkable intelligence is discovered by her employer, Maisie becomes the pupil of Maurice Blanche, a learned friend of the Comptons. In 1929, following an apprenticeship with Blanche, Maisie hangs out her shingle: M. Dobbs, Trade and Personal Investigations. She soon becomes enmeshed in a mystery surrounding The Retreat, a reclusive community of wounded World War I veterans. At first, Maisie only suspects foul play, but she must act quickly when Lady Rowan's son decides to sign away his fortune and take refuge there. Maisie hurriedly investigates, uncovering a disturbing mystery, which, in an astonishing denouement, gives Maisie the courage to confront a ghost that has haunted her for years.